A look at the full story summary of Little Nightmares, including its strange ending and epilogue. Note: This feature contains spoilers explaining the ending of Little Nightmares as well as the full story summary. Many gamers who’ve completed Little Nightmares may find themselves wondering what the heck is going on in the story and what the ending means. This isn’t altogether surprising, as Little Nightmares is a game that can be both intriguing and unsettling all at once. While you explore the sinister world of The Maw as Six, you have to be extra careful in order to avoid certain death at the hands of various monsters. This has resulted in people piecing together an interesting assortment of theories on The Maw itself (like how Six got down there), and of course, summary and explanations regarding the story and ending of Little Nightmares. 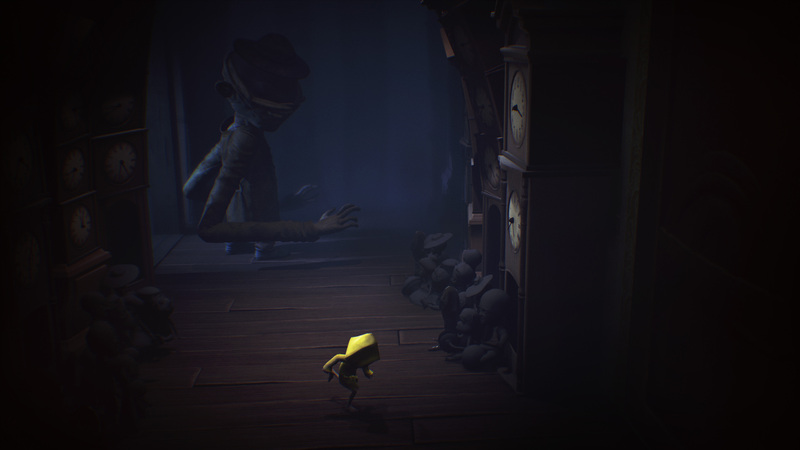 The story of Little Nightmares takes place aboard a ship structure called The Maw. Six is on a mission to escape, and she begins her journey by navigating her way through the lowest deck of The Maw. On her journey, she comes across little creatures called “Nomes” that scurry around hiding from the grotesque “Guests” and monsters aboard The Maw. 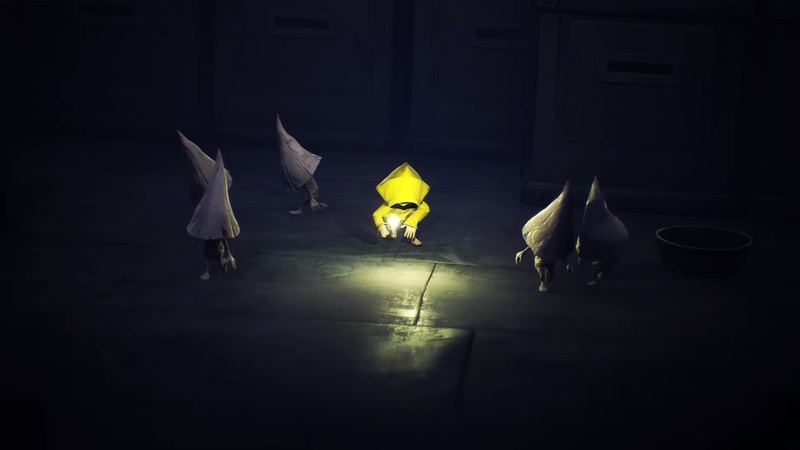 The Nome creatures Six comes across during her adventures in Little Nightmares. During the initial stages of the game, Six uses her climbing skills, ingenuity, and endless lighter to escape from an area called “The Prison” located deep in the bowels of The Maw where black sludge leeches drop from the ceiling. As Six continues to move forward through The Maw, she eventually encounters a long-armed monster known as “The Janitor” who is blind, but has a very adept sense of smell. 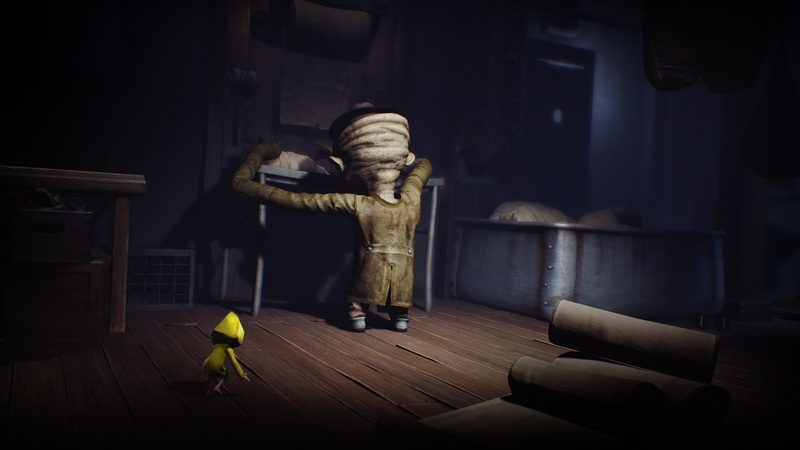 In Little Nightmares, The Janitor may be blind, but he has a superb sense of smell and extremely long arms. After he chases Six, she eventually loses him and comes to a room where she encounters her first Eye Security System. If Six is spotted by this Eye, she’s incinerated instantly. Because of this, Six learns to use the shadows to get past the Watchful Eye, and soon discovers there are other children aboard The Maw that are being kept in cages. While some of these kids are kept in cages, others appear to have rooms, are fed, and have toys to play with. 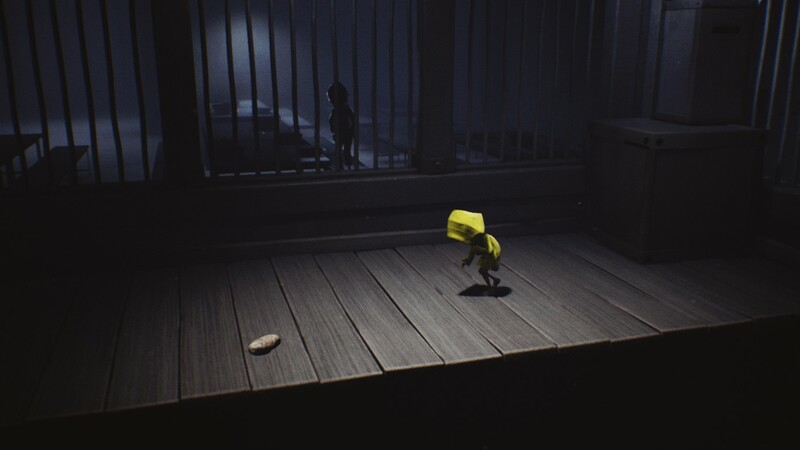 In the Little Nightmares story, one of the children aboard The Maw tosses Six a piece of bread. During the player’s first experience with Six and her crippling hunger pangs, they see one shadowy child toss her a piece of bread. According to drawings found in various rooms in the game, one can infer that some (if not all) of these children were abducted from their homes and imprisoned aboard The Maw. What is the purpose of taking these children? Unfortunately, it appears they're processed into the meat that the Twin Chefs cook up for The Guests to consume. Six isn't the only child aboard The Maw in Little Nightmares. This is further emphasized by the various bodies wrapped in sheets that can be seen hanging from hooks on the ceiling. During her quest to escape from The Maw, The Janitor eventually captures Six and locks her away in a cage. There, she manages to escape from the cage and goes head-to-head with The Janitor in a chase that leads Six to a room with a large metal door propped up by a crate. 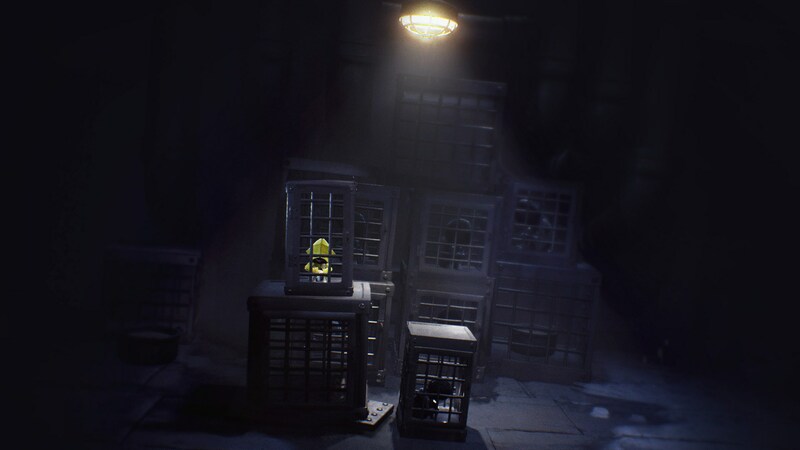 Six is eventually put in a cage by The Janitor alongside other children in Little Nightmares. Because the door is propped open by a rickety crate, Six begins to pull the crate apart as The Janitor’s arms move through the door trying to grab her. Once the crate is pulled apart, the metal door slams shut and severs both arms of The Janitor. Six eventually severs both arms of The Janitor in Little Nightmares. As she moves along, Six discovers a bunch of wrapped meat (likely children) in The Kitchen. It’s here where she meets the Twin Chefs. The Twin Chefs try to capture her and cook her in the food served to The Guests aboard The Maw. 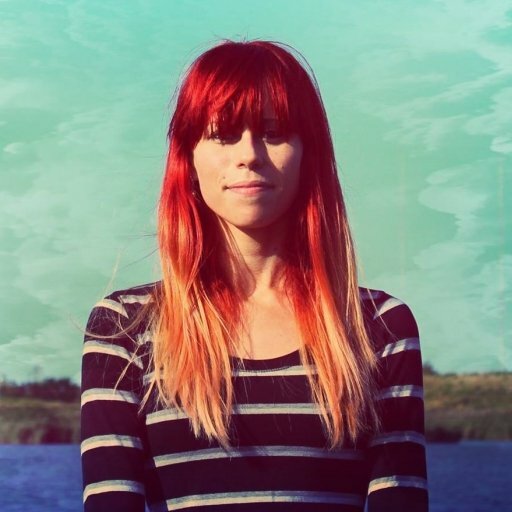 However, Six avoids the Twin Chefs and makes her way to the upper decks of The Maw where she witnesses The Guests boarding the ship one by one. 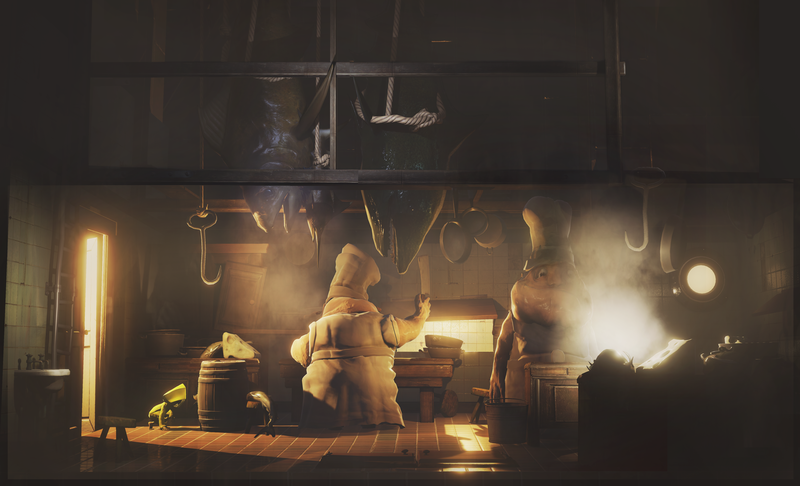 The Twin Chefs are responsible for cooking food for The Guests aboard The Maw in Little Nightmares. These Guests visit The Maw to partake in an endless buffet that’s served by a mysterious woman known only as “The Lady” who resembles a Geisha. Continuing her quest to escape The Maw, Six has to dash through the dining hall full of ravenous Guests, all of whom try to catch Six in order to consume her. 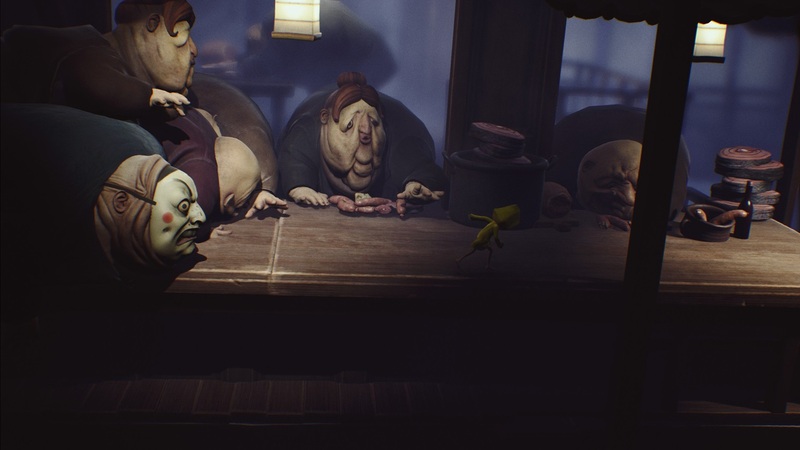 In this part of the Little Nightmares story, Six has to run through the dining hall past all of the hungry Guests. After slipping through the cracks at the end of the dining hall and avoiding The Guests, Six finds herself in the quarters of The Lady. Unfortunately, Six suffers from another attack of hunger pangs and is eventually offered a sausage from a sympathetic Nome who’s watched her attempt at escape. In a surprising turn of events, though, Six rejects the sausage and instead decides to eat the Nome. 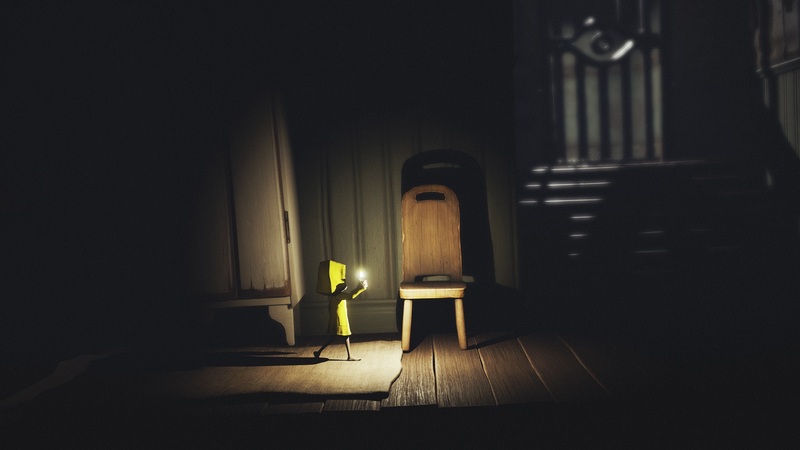 Six eventually finds her way inside the quarters belonging to the mysterious Lady in Little Nightmares. Because The Lady avoids mirrors, has never seen her own reflection, and prefers to stay in the shadows, Six concots a plan to defeat the lady. In the quarters, Six finds a small mirror and does her best to keep in the light. Eventually, Six uses the mirror to force The Lady to view her reflection, which causes The Lady to become weakened. Defeated, The Lady collapses to the floor motionless and in one final act to cure her hunger sickness, Six devours The Lady and takes on The Lady’s powers. 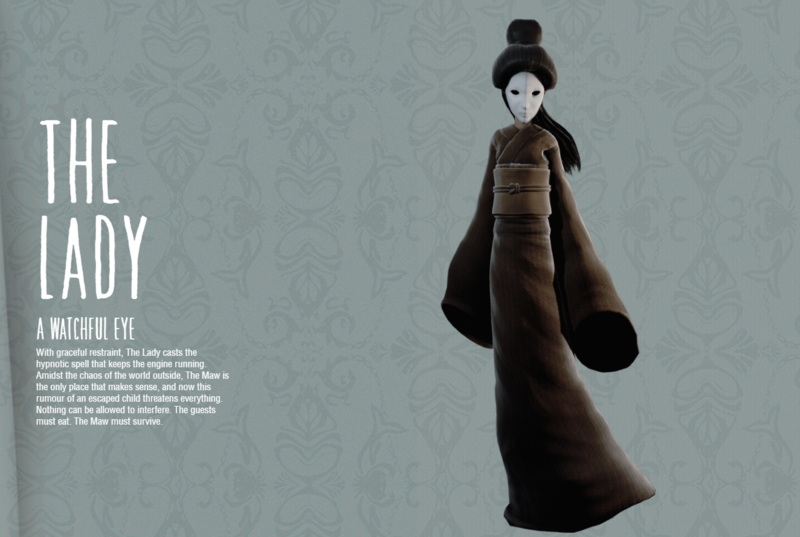 In the ending of Little Nightmares, Six defeats The Lady and gains all her powers. In the end, Six heads up to the dining hall and uses the power she’s gained from The Lady to consume the souls of any Guests that get too close. As The Guests have their souls sucked out, Six embraces her new powers even more, fearlessly heading up the steps and into the sunlight right past another Watchful Eye. This catches the attention of the remaining Nomes, who somberly watch Six leave. 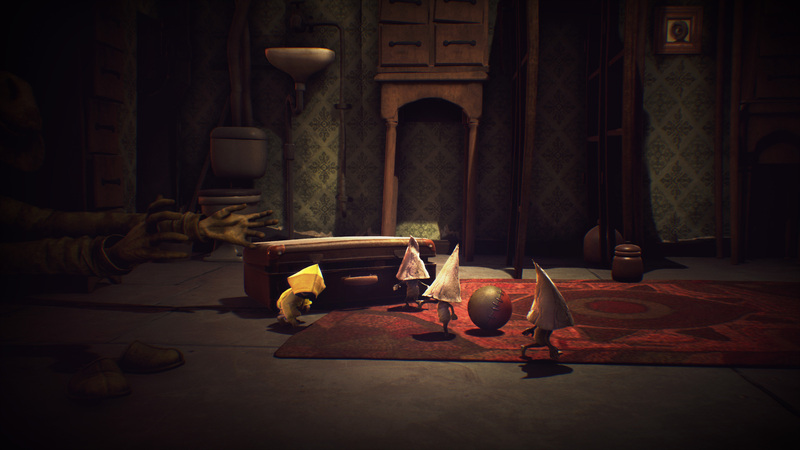 During the Little Nightmares ending, several of the Nomes watch Six leave The Maw. 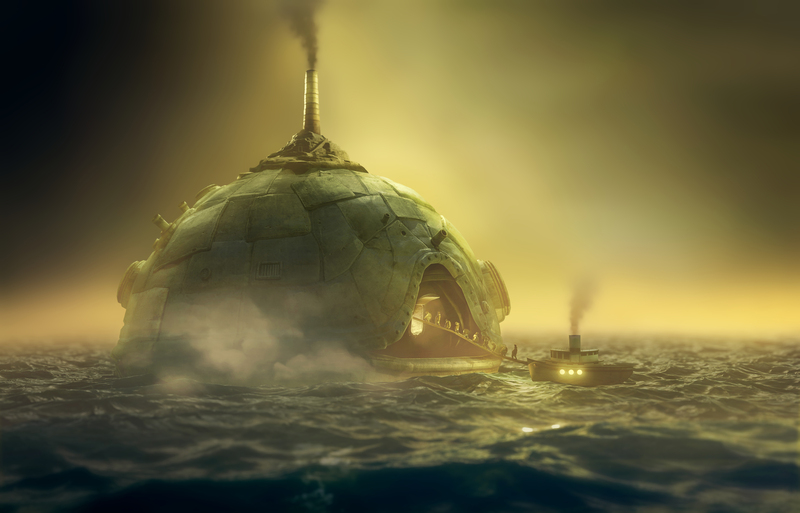 Following the game's end credits, Six can be seen on what appears to be small island with a lighthouse. However, this is actually the top of The Maw which is hidden below the water. Here, players can see the symbol of the Watchful Eye emblazoned on the protruding structure which, upon closer inspection, appears to be a smokestack of some sort. Some have posited the theory that Six might even be the daughter of The Lady, which we've also delved into if you're curious! 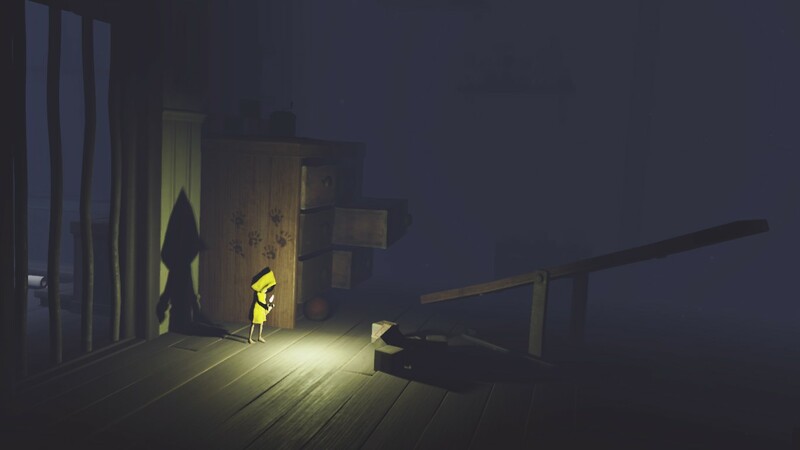 By reading through this guide, you should now know the full story summary of Little Nightmares and the ending explanation.